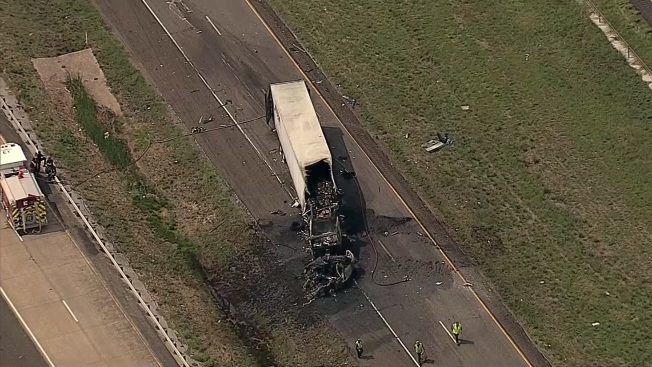 Three people are dead following a fiery crash Tuesday along the eastbound lanes of Interstate 20 in Terrell. Terrell police Cpl. Z. Boyd confirmed Tuesday afternoon three people riding in a pickup truck were killed in a crash with a tractor-trailer. Both the pickup and cab of the tractor-trailer were consumed by fire following the crash. A second tractor-trailer was also involved in the collision but only showed signs of minor damage. Terrell Accident Investigators are working to determine what caused the deadly collisions. The deceased have been identied as 77-year-old Benjamin Welch, 72-year-old Linda Welch and 49-year-old Alice Little all of Cameron Parish Louisiana. While the highway is closed, Texas Department of Public Safety state troopers were diverting all eastbound traffic onto the Frontage Road at Texas 34 where they can reenter the eastbound lanes of the highway. Westbound lanes are not affected by the crash. Officials reopened the eastbound lanes of the highway just after 9 p.m. Tuesday night. 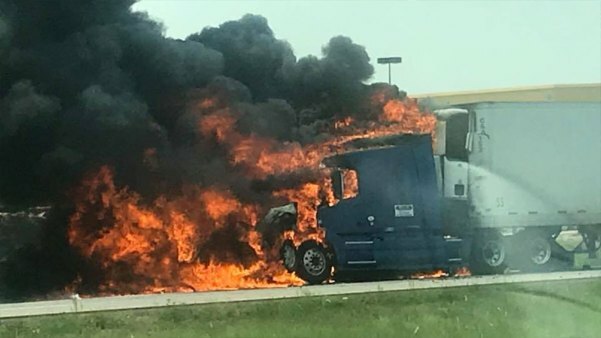 Amber Helm took this photo of a fiery crash in Terrell, Aug. 21, 2018.